Isn't this the most romantic newspaper ad you've ever … oh, wait. 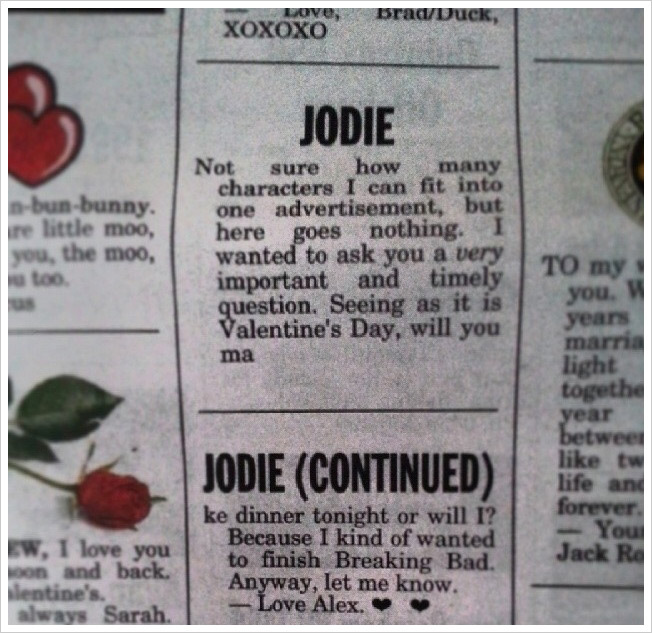 This two-part classified ad appeared on Valentine's Day in Australia's Launceston Examiner newspaper. Hopefully Jodie has a sense of humor.